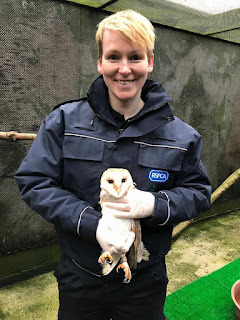 When I started as manager at the RSPCA Manchester & Salford branch 10 years ago I could not have imagined what my work could be like 10 years down the line. I'm not sure I could have even imagined still being here 10 years later, but I think that is testament to the fact that this is such a varied and unique job. 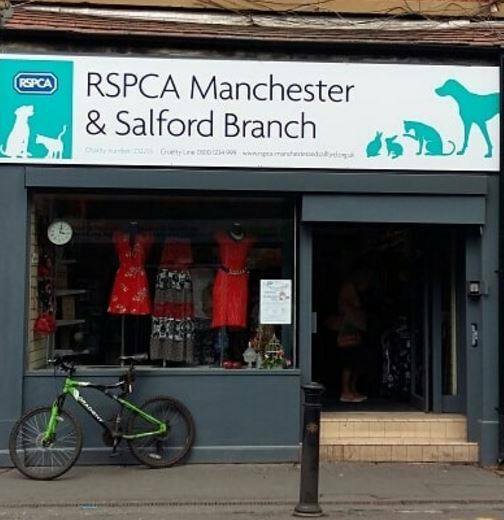 In 2008 the RSPCA Manchester & Salford Branch consisted of one charity shop with 2 part time staff and 2 animal rehoming staff. I laugh now, but I didn't even drive back then! Thankfully it was a condition of my employment that I had to learn to drive and within a year I had passed my test. 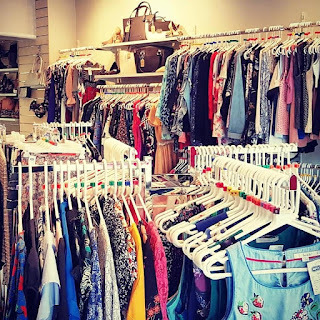 Now in 2018 my job is largely out and about on the road, we have 5 charity shops with 13 retail staff, 3 p/t rehoming staff and an office administrator. The branch now needs over half a million a year to operate, which is no mean feat to achieve as a self-funding charity. 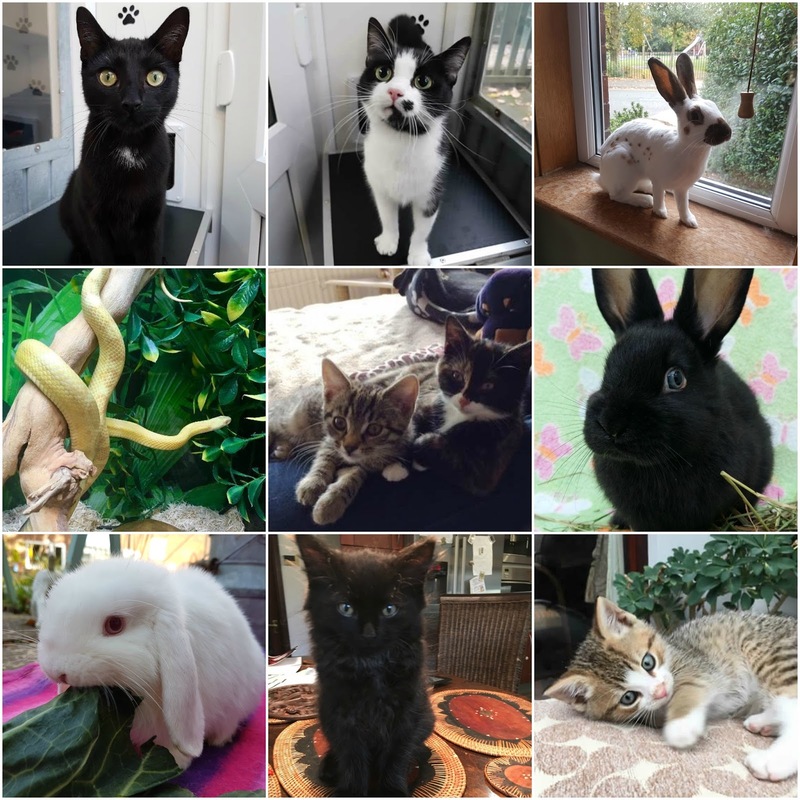 In 2008 we admitted just over 300 cats, dogs and rabbits. We had a handful of foster carers back then and paid to keep our animals in private boarding establishments. 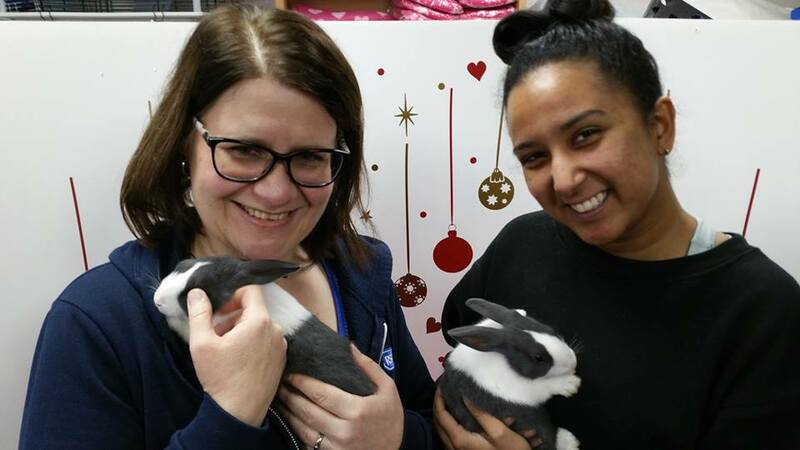 By the end of 2018 we will have admitted in the region of 500 cats, rabbits, guinea pigs, rats and reptiles. We still operate largely out of boarding facilities but have a considerable network of dedicated volunteer foster carers to help us specialise in rehabilitating animals who cannot cope in a ‘kennel’ environment. These days we have carved a name for ourselves for helping animals with complex health and behavioural issues. We love nothing more than helping a cat that requires extensive care to help save a limb, a rabbit gradually adjust to life outside a cage or a lizard struggling to heal from its former life of deprivation. Shout out to our volunteer cat cuddlers who brave the elements to make life in a cattery so much more enjoyable for our feline residents! The striking diversity of the animals the RSPCA Manchester and Salford Branch now admits reflects how we have adapted to best support the needs of the National RSPCA inspectorate to do their job (we are a separately registered charity to the National Society but work closely with them to take in animals they rescue). Our focus is ever more on rabbit admissions, with a monthly vet bill that routinely exceeds £3,000 for just this one species. 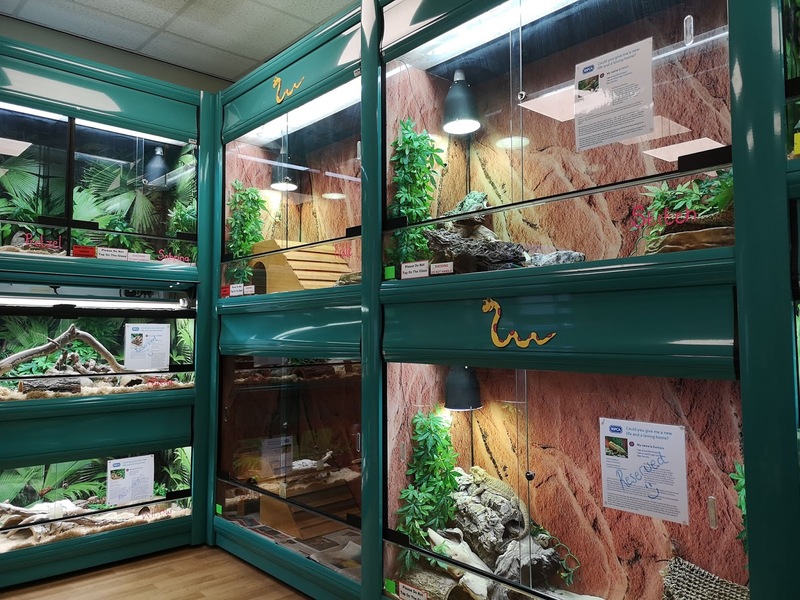 Then there is the Reptile Project at the Stockport Adoption Centre where we admit a small range of inspector rescued lizards and snakes thanks to Support Adoption for Pets and Pets at Home installing a suite of vivaria in their Stockport store. 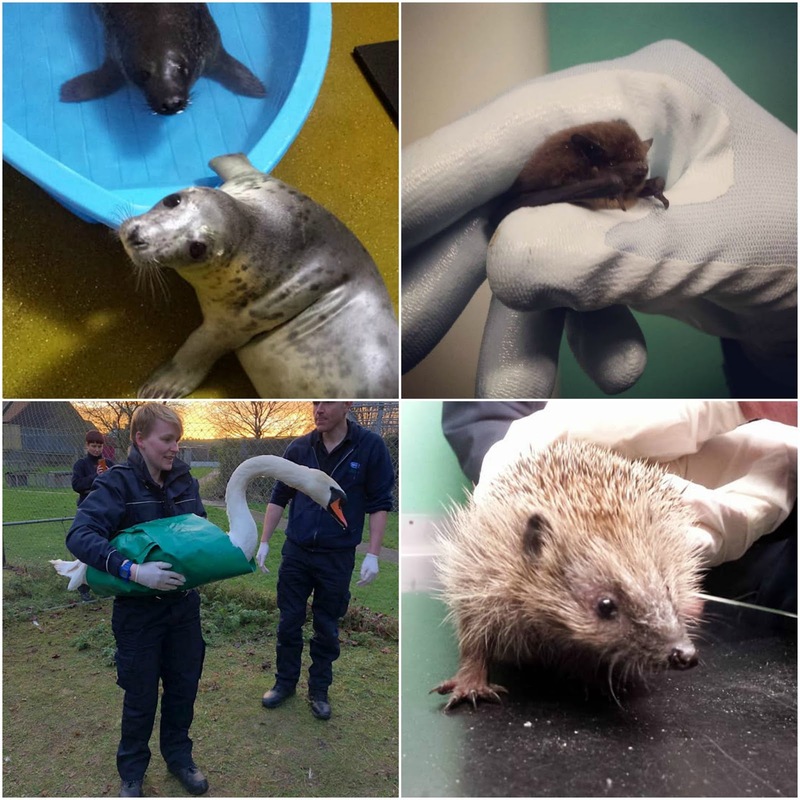 This is a partnership project with the National RSPCA and we work closely together and financially support the cost of rehabilitating and rehoming these animals. Sadly we see first hand how these poor creatures suffer as a result of ill-advised husbandry, and you wouldn’t believe the number of stray reptiles the inspectors collect once there are a few hot days in summer! The state of the art RSPCA Stockport Reptile Project at Pets at Home! Myself and Mr Beardie at our first community Reptile Roadshow welfare event, 2010. 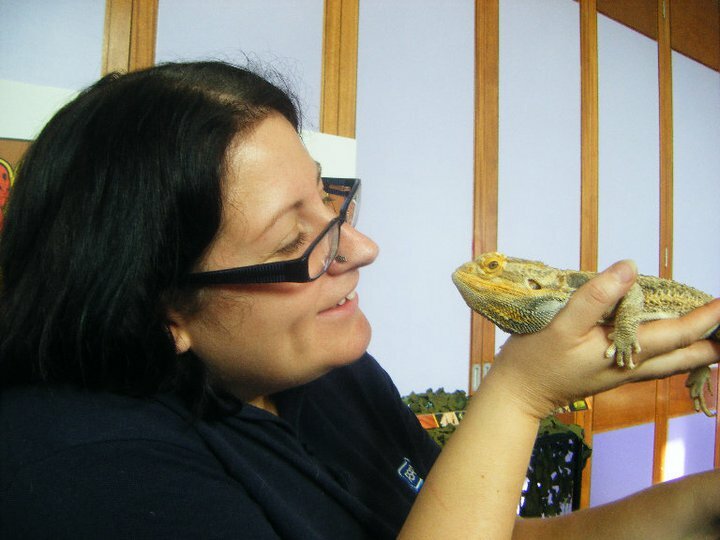 Now we have our own Reptile Adoption Centre! Of course all of this has broadened my knowledge beyond belief. It is an absolute privilege to work with such a wide range of animals under the guidance of experts and a relentlessly committed team of people. It steered me to consolidate my knowledge with a qualification from Bristol University in Companion Animal Welfare and Behaviour in 2014. My savings never did recover after that but I am all the better for the education and continue with CPD to this day. - Highest animal rehoming of a branch without an animal centre 2016, 2017, 2018. 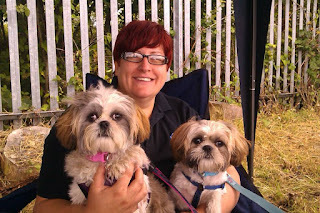 - 2017 our former rehoming co-ordinator Deb Beats was accepted to train as an RSPCA Inspector. We are proud to report she graduated in November 2018 and is now a fully fledged Inspector working in the region. - Michelle Flower, our rehoming co-ordinator, won RSPCA Animal Care Assistant (North) for 2018. I am hugely proud of the RSPCA Manchester & Salford Branch’s achievements. 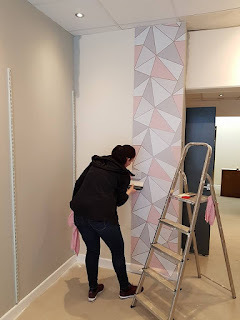 Our team is amazing and everyone seems so connected to what we do. Without everyone’s contribution we simply could not function. Every person’s contribution, passion, love and commitment means that each year we really make a difference to so many individuals. The team are what drive me to keep going, along with the supporters and donors who show us that they care on a regular basis. Like the unfamiliar donor who sends in a cheque, or the adopter who emails an update 5 years after they took their beloved animal home, the adopter who comes back to us for a new companion, or the supporter who sends us an email to say thank you for doing what we do. These things spur me on. We LOVE to hear from adopters and now (unlike 10 years ago) many go on to have their own Instagram accounts like Barrington Bubbles aka Barry! Nikita enjoying some of the many donations we receive from our amazing supporters! 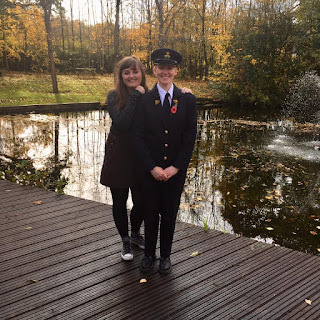 When I first wrote this blog I went into detail about how challenging and difficult the job can be and documented some of the most upsetting cases I had seen over the years. But then an encounter occurred that made feel like celebrating rather than dwelling on the sadness that we see. One Saturday recently a potential adopter came to meet a pedigree cat that had been used for breeding purposes. 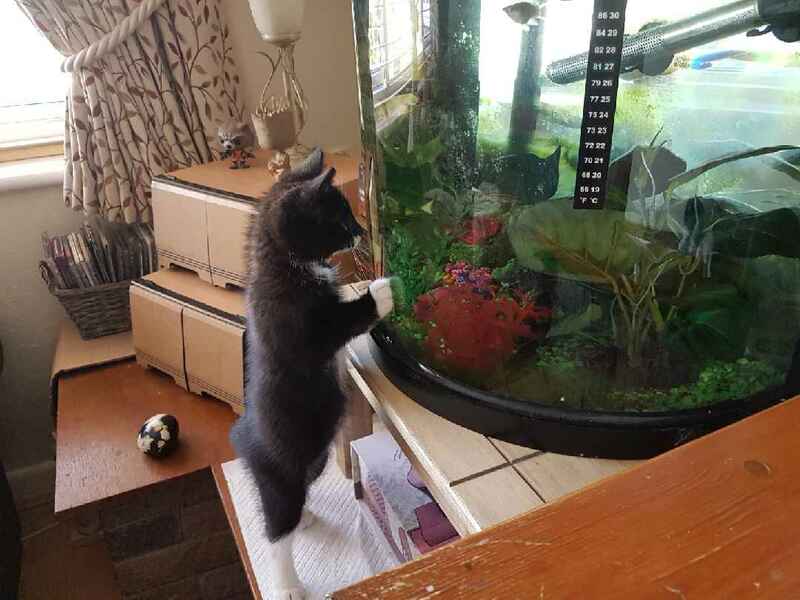 The cat was timid and generally worried about life and needed a very special home. As soon as the cat and the visitor met each other they formed an instant connection and purring commenced for the next 15 minutes! I encouraged the potential adopter to stay as long as she wanted but after 20 minutes she said she had to go because a taxi was running for her outside. It transpired that the lady had been let down with a lift and travelled a good 30 minutes via a taxi to make sure ‘she did not let the cat down just like her previous owner had’. The lady said she knew from the moment she saw her photograph on the website that this was the cat for her. When the time came to leave tears began to well because she did not want to leave her behind. She knew how special this little girl was and what a difference she could make to her life. I was so moved and in an instant the horrors of the week melted away. It’s moments like these that set you up to keeping fighting on. I am grateful to have been a part of something so special over the last 10 years. I am grateful to the people who have made it so special and for motivating and inspiring me, and above all making me smile when I have felt like I have nothing left to smile about. The next 10 years will likely be much of the same, but one thing is for sure, I’ll still keep admitting more animals than we have space for! I'm writing this blog post on a Monday morning. The office is always the busiest today with staff playing catch up from over the weekend which includes the usual office calls, emails and queries, liaising with National RSPCA staff about which new animals are coming into our care, dealing with animals currently in our care (vet trips, delivering supplies, organising pictures and write ups for ones ready for adoption) not including all the admin involved with running our branch and its 5 shops, phew! But today we got an extra special reminder as to why it's all worth it when we received an amazing update. Our regular social media followers will recognise Dobby's name instantly. 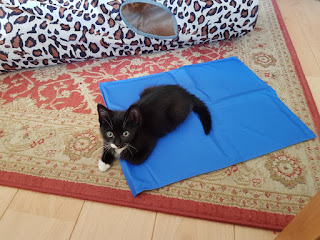 Dobby came into our care as a tiny, terrified and broken little boy. 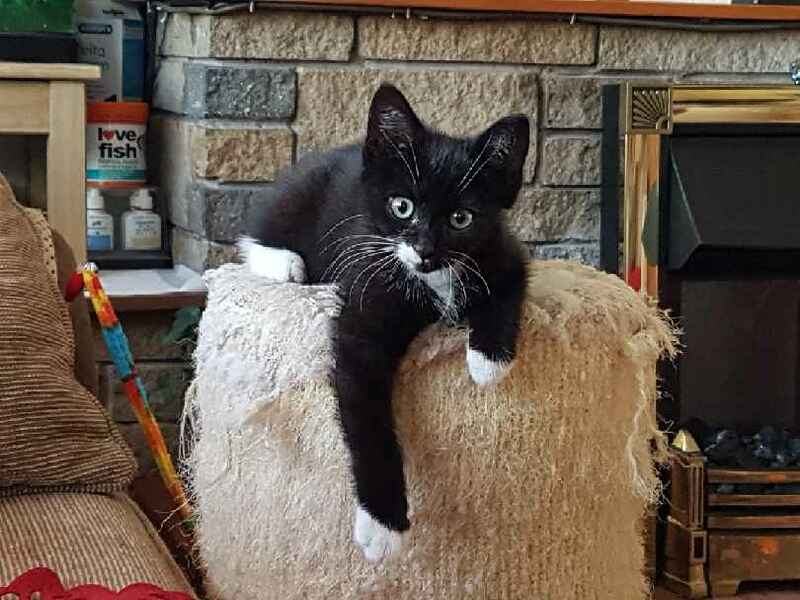 An extremely distressing video of a black and white kitten was given to the National RSPCA who sent an inspector out straight away. The video shows a kitten being repeatedly thrown from a trampoline by young children and eventually hitting the ground. You can read the news story here but be aware of distressing footage and images. Thankfully the amazing inspector located the kitten from the video and took him straight into a vet for emergency treatment. Please note that the cruelty investigation is now closed but for legal reasons we cannot provide further details. Despite his happy little face, on examination he was found to have a broken collar bone, swollen head and other soft tissue injuries. Bottom right: Dobby when he first arrived at the vet. Top and bottom left: First day in his foster home. 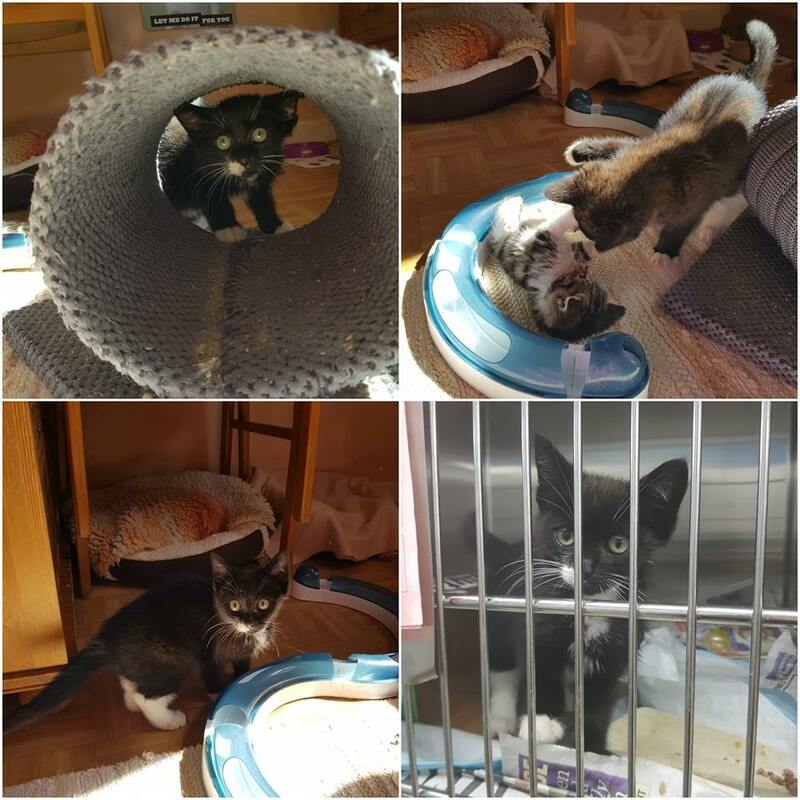 Top right: Meeting a kitten friend in foster a few days later! Thanks to the amazing vet treatment he received and lots of TLC by the vets and nurses, the little kitten, now named Dobby pulled through. Once stable he moved into our branch's care and into a foster home. After a few weeks his foster parents helped him to literally bounce back into a lively, playful kitten. Whilst in his foster home Dobby met his foster parents resident cats but also other foster kittens. He made a special bond with Harry. 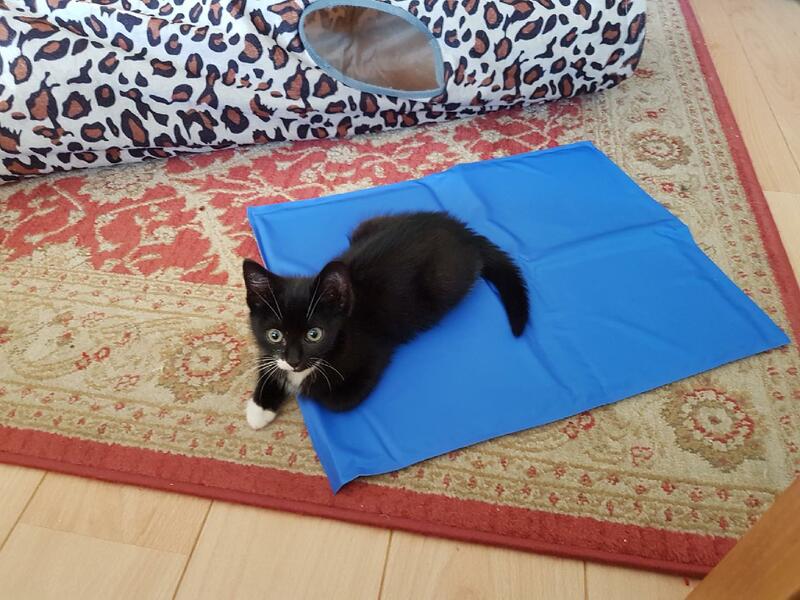 Harry is another kitten who had a terrible start and had to be rescued. 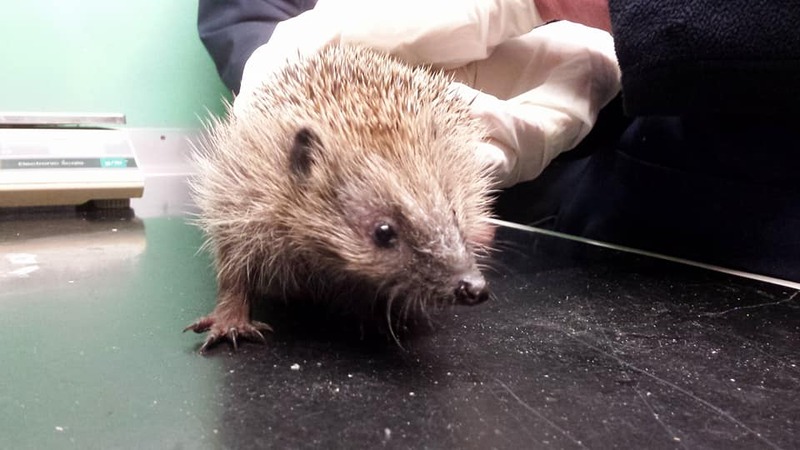 He was found scared and alone in a member of the public's garden. Thankfully he was also collected by a National RSPCA inspector and came into our care where he met Dobby. They were best buddies from the start and we truly believe they helped each other get better and focus on being kittens again! 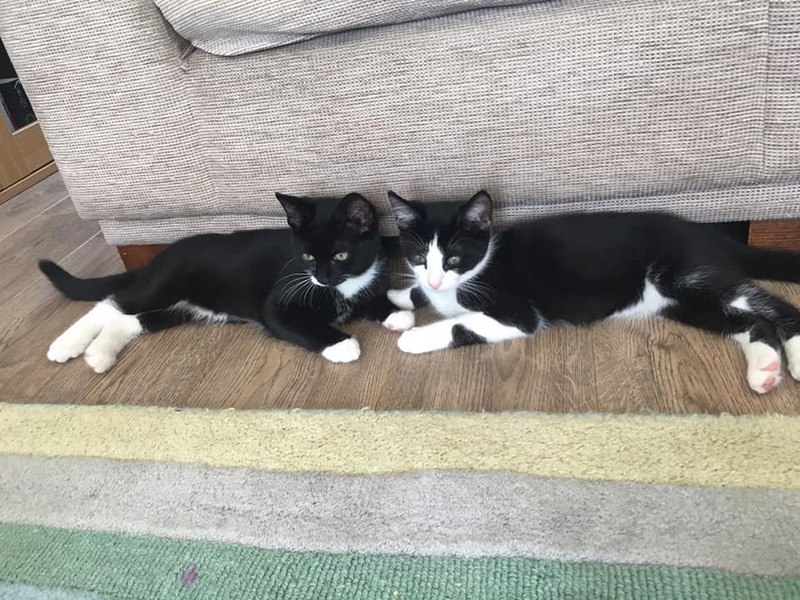 Dobby & Harry settled into their forever home after being adopted last week. So there you go - this is what it's all about. All the hard work from the people who reported both kittens as needing help, the National RSPCA who went out to assist, the vets & nurses who treated them to the foster home who got them 'right' again to the amazing people who decided to adopt and not shop and take our boys into their family. Go team RSPCA! Of course our work never stops and as I write this the National RSPCA will be taking hundreds of calls of animals in need, vets & nurses will be treating abused and injured animals and our foster homes will be working hard caring for their charges. If you'd like to help there's lots of ways you can! 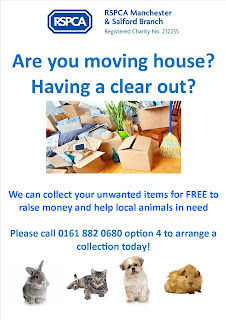 - Donate unwanted items: our Withington charity shop is desperate for your donations! We then sell them to raise the money we need to run the branch. 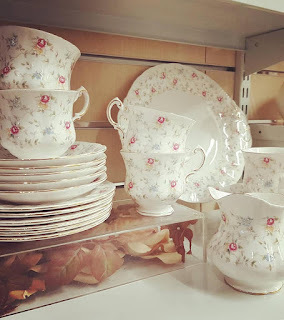 We take clothing, bags, books, belts, small electricals, bric a brac and jewellery. If you have a carboots worth, we'll even collect if you are local! - Donate cat food: with so many cats and kittens in our care we get through lots of food! 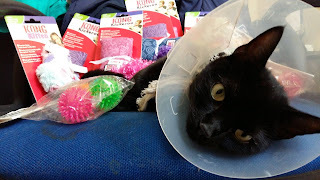 If you'd like to donate some grubs to our moggies you can via our Amazon wish list here or donations can be left at any of our charity shop locations listed here! - Make a one-off or regular donation: on average it costs £30,000 a month to run our branch alone. You can set up a direct debit or just make a one-off donation via Just Giving. Click here for more information. - Adopt, don't shop! we always have lots of animal waiting for new homes, all neutered, chipped and vaccinated (where applicable). 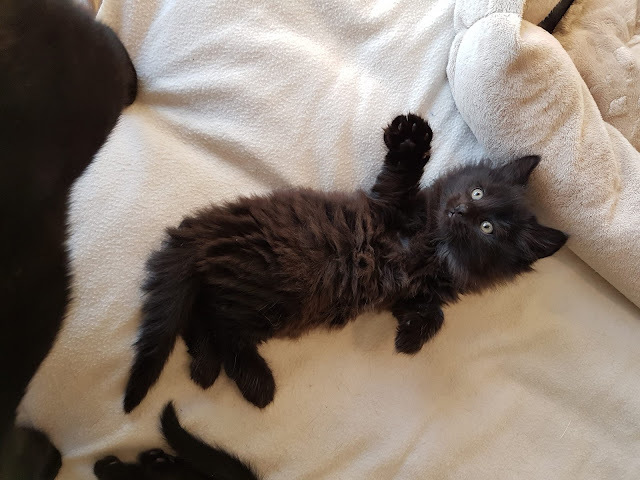 So if you or someone you know is looking for a new addition to their family tell them to check out our website or Facebook page which are both updated daily! 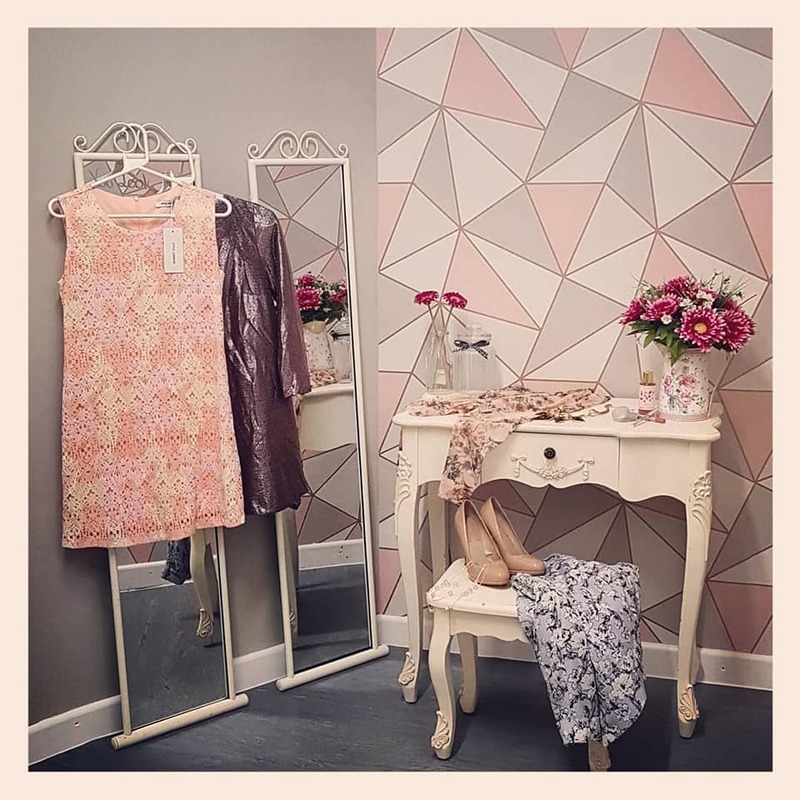 I think you'll agree the result was more than worth it and on the 11 June 2018 we opened our brand spanking new charity shop on Wilmslow Road! Fast forward and we've been open a month and its been going better than any of us expected! We've been really well received within the community and sales have been fantastic. Our charity shops fund our work therefore the more money they make the more animals we can help who have been rescued from cruelty, neglect and abandonment by the National RSPCA inspectors. The shop couldn't have opened at a better time as demand on the charity has continued. In June our animal rehoming team smashed their adoption record and rehomed 56 animals (that's 31 cats, 11 rabbits, 6 guinea pigs, 6 rats and 2 reptiles!). So a huge thank you to everyone that has made us so welcome to the area! 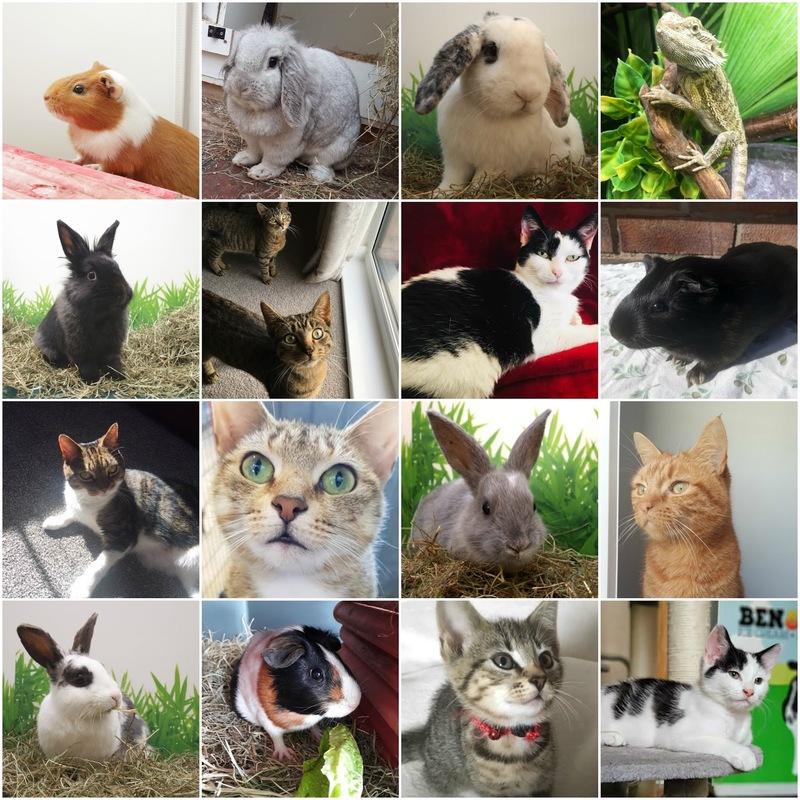 Just some of the animals we rehomed in June! - Shop floor assistant to help with house keeping and general tidying. - Working the till and general customer service. - Volunteer to help with stock output and stock rotation. Volunteer roles look great on your CV and you'll be part of a thriving team who put in 100% effort into raising money for our animals. 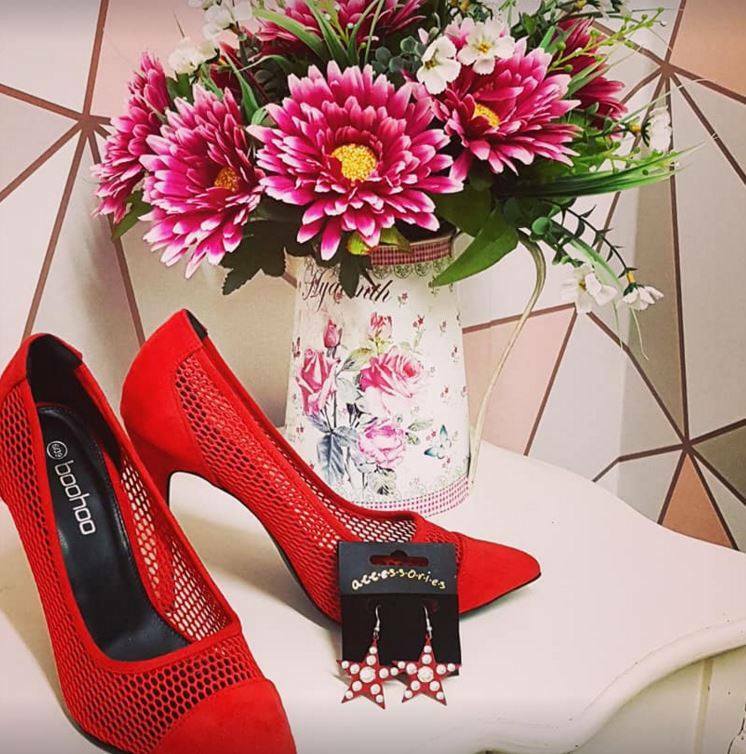 Alternatively, just pop into the shop! If you can't help out in the shop we are always in desperate need of items to sell, we can't keep up with demand which is brilliant! Many of us enjoy a bit of reality TV. It is an immersive and engrossing experience following individuals through highs and lows, watching them fighting against the odds; let's face it so many of us root for the underdog! Funnily enough this pretty much sums up our experience of rehabilitating and rehoming National RSPCA rescued animals. Sometimes it feels like our work is akin to a ‘journey’ like that of a reality TV star. It is frequently over-flowing with feelings as we lunge from one emotion to the next as we take into our hearts and our care individuals who need us the most. Often in one day we experience euphoria, hope, frustration and sometimes despair. Having an animal to hug when times are tough should not be underated! Nursing animals that seem beyond hope, seeing a previously abused animal find a loving new home or being thrown a lifeline when treatment options are running out is what our days are made of. It is an upsetting job to do, especially when in so many instances animal suffering could have been prevented. 2017 was a really tough year for the volunteers and staff at the Manchester and Salford branch. Nearly 600 animals came into the branch’s care, many with problems we just couldn’t overcome due to the nature of the neglect and/or cruelty they experienced. However, 482 did find homes by the end of the year whilst the rest got to sit it out a bit longer waiting for a special home to call their own. Our staff and volunteers work so hard for each and every animal and we are so grateful to them. A highlight of 2017 has been working closely with the RSPCA Greater Manchester Animal Hospital taking in cats that have had extensive fracture repairs and in need of long term rehabilitation. We are always happy to help, whenever we can, with animals that need months of additional care before they are ready to be adopted. 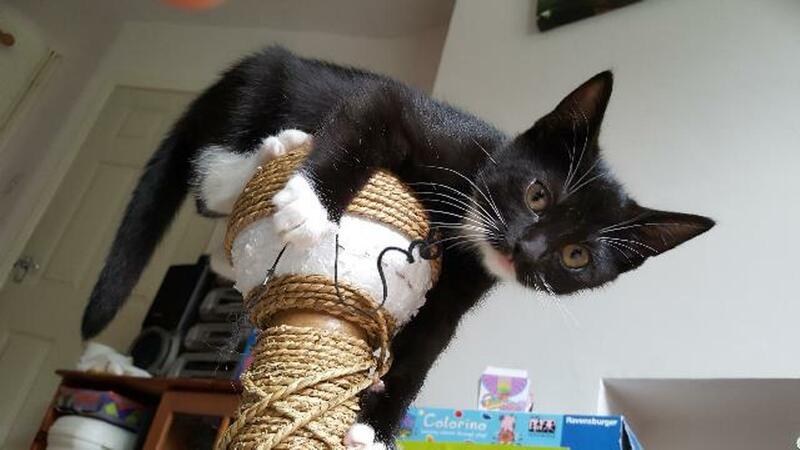 Our spaces are limited as we are only a small charity that rely on foster homes but we do make a difference to cats like Dennis…..
Dennis was reported to the National RSPCA in mid-2017. He was reported to have been found alone, dragging his leg behind him and in a rather terrible state. He was quickly picked up and brought to the local animal hospital. X-rays showed he had a femoral head fracture. It was thought that the leg could possibly be saved but after many operations vets had to admit defeat and remove the leg entirely. Poor Dennis was now a tripod! After several months of treatment and rehabilitation he was finally put up for adoption towards the end of the year. It's clear that Dennis is in no way phased by having one-less leg and now just need that forever home to call his own. Sadly Dennis is now our longest stay cat, as such we've popped him back into a foster home as he wasn't keen on the cattery. If you'd like to meet our boy have a read of his write up then give us a call 0161 882 0680 option 4! 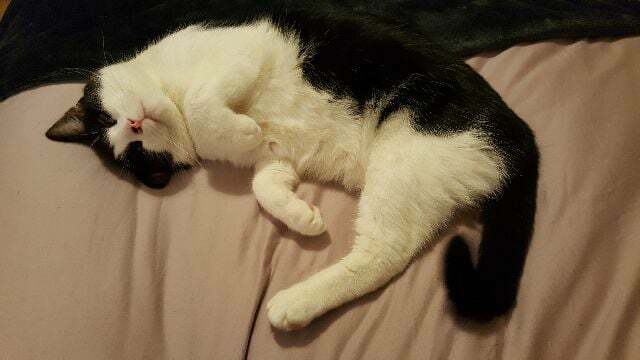 Dennis much happier out of the cattery in a foster home! 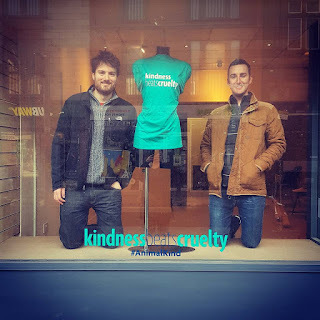 Staff changes & a new charity shop! We start the new year in a unique position with two new rehoming staff, Angela & Vanessa and two new retail staff, Carmen and Caroline . It's been years since we've had staff changes, hopefully testament to having a happy staff team. 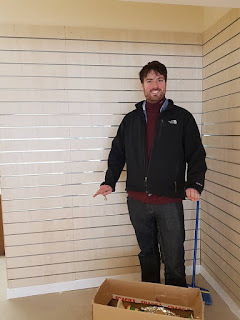 We are also looking forward to opening a new shop in Withington very soon and will be our first new shop in 5 years, so we are all really excited about this new opportunity. If you live in the area keep us in mind as we'll need lots of good quality donations when we first open! Our charity shops fund the majority of our work so they really are truly vital. Angela (L) and Vanessa with baby bunnies! Our regular supporters will know that last November our long serving staff member Deborah was one of the lucky applicants selected to start training to become a National RSPCA inspector. Although we are a separately registered charity to the National RSPCA, we work closely with them and the vast majority of our animals come from their rescues. We asked Deb for a little update to share with you all two months into her training! After working at the RSPCA Manchester and Salford Branch for 6.5 years I thought I had a good idea of what being an inspector involved but as I approach the end of week 10 (of 31) I cringe at how clueless I was. Last week me and my group of 24 other trainees finally left the classroom where we'd spent 2 months studying the English legal system, police powers, the Animal Welfare Act and various other bits of legislation. Considering the National RSPCA inspectors have no legal power it's amazing how much they need to know and how dependent they are on the Police and on good animal welfare laws to back them up. After talking about what we can and can't do we finally got to put some of our new knowledge into practice with 3 weeks of field training; I've been sent to the Shropshire group which covers a vast, rural area. So far I've checked on chickens, sheep, a few dog welfare concerns and have a meeting booked in regarding puppy farms. It's very different seeing these things in real life to on the TV especially when you don't know what's waiting for you behind the front door but it's great to finally start helping the team. Thankfully we did get a little light relief before the real work with a visit to one of the four National RSPCA wildlife hospitals. I spent two days at West Hatch in Somerset learning handling techniques as calls to attend injured wildlife are by far the most common. A Barn Owl, a hedgehog, a bat, a very angry swan and over 30 juvenile seals (very cute but very aggressive!) had the pleasure of my company but I fear after practising catching and bagging, the swan may never speak to me again. We have more exams, more legislation and thankfully plenty more practical learning sessions such as boat training and large animal care lined up for us over then next 20 weeks but looking forward to seeing some of the animals I've rescued going up for adoption at the Manchester and Salford Branch, only 5 months left to wait! Last week the National RSPCA released statistics that showed 9/10 cats that come into RSPCA care are not microchipped. This causes a logistical nightmare trying to locate owners and get moggies back to where they belong. 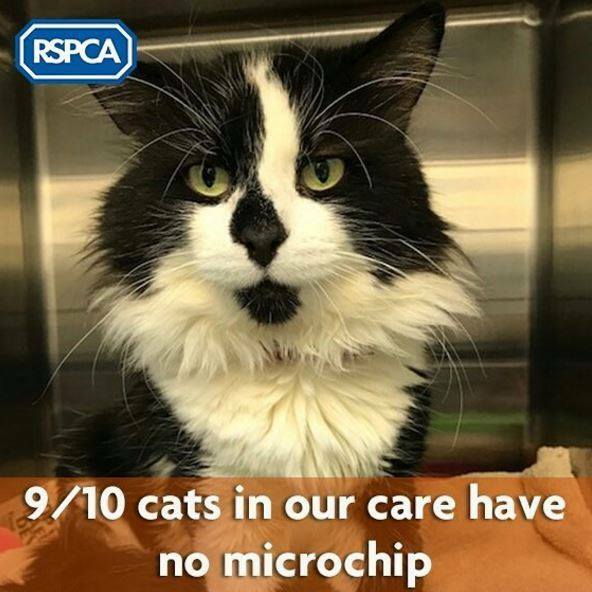 We'd like to help and need your suggestions for locations in Manchester & Salford where you'd like to see us offer cheap microchipping events. In particular we need suggestions or offers of venues we can use for a few hours to hold clinics. In the past we've used scout huts, churches, community centres and sports halls. We need space to set up several tables to complete registration and a waiting area with chairs. 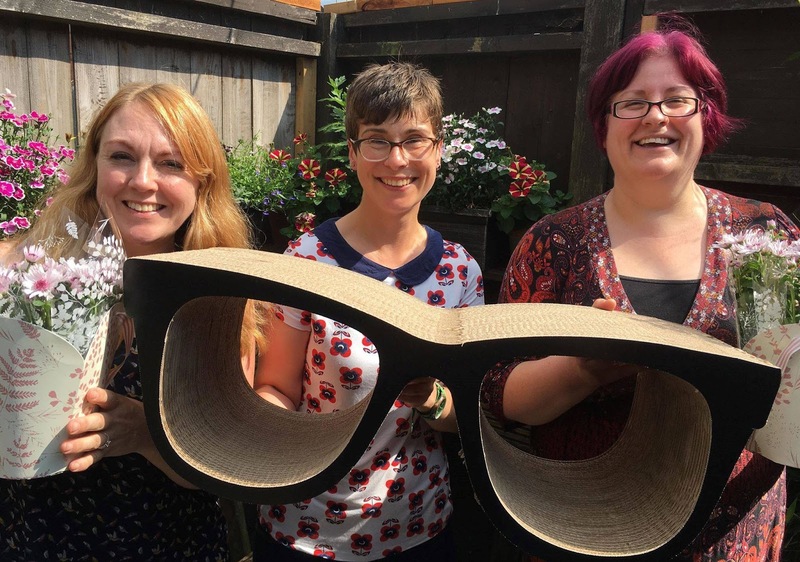 If you have any ideas of good locations in our area please get in touch! 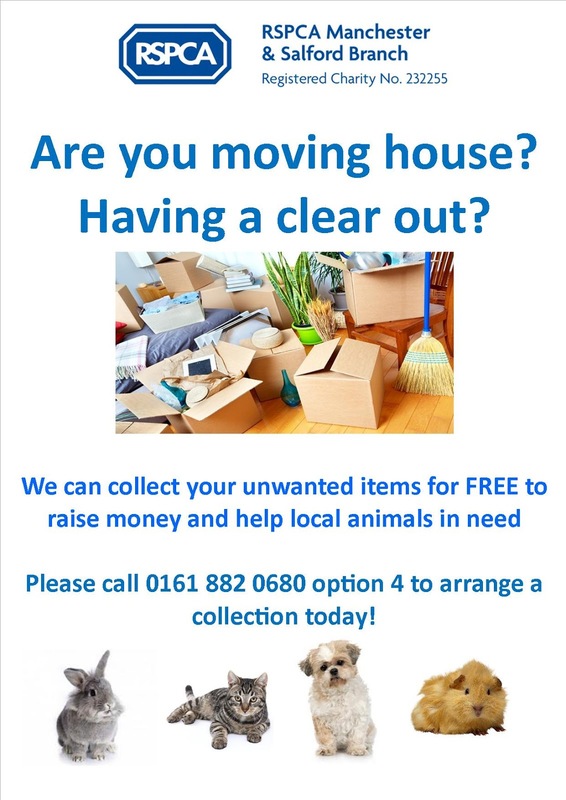 Email rspcamcr_salford@btconnect.com or call 0161 882 0680 option 4. Can you help our special boy, Franklin?